If you're going to point DNS directly at the bucket remember to use the actual domain name you're going to use. You can leave all of the configuration options on their defaults. 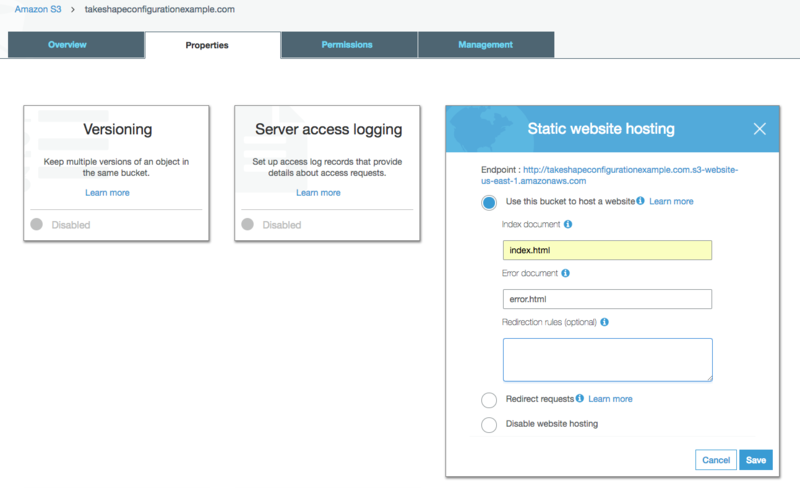 Configure the bucket for static website hosting. Now you'll need to set up an IAM user that has permissions to modify the bucket. Create a user that only has programatic access. Make sure you copy the user secret and key into a safe place since you won't be able to see the secret again. After the user is created. Go back and add an inline policy to the user so that it has necessary permissions on the s3 bucket you previously created. 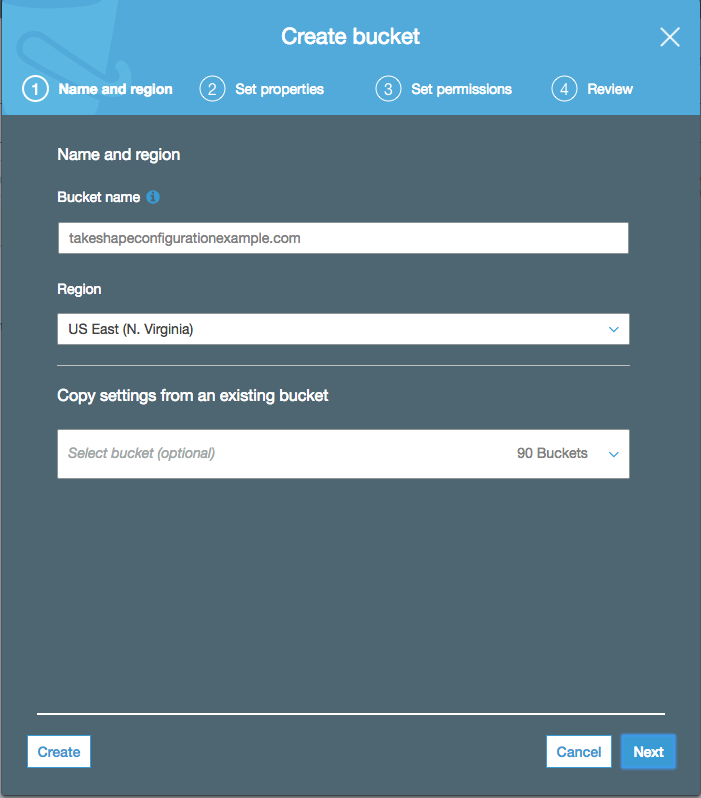 Now you're ready to configure a static site in the TakeShape web client to deploy to the s3 bucket.